Every time I travel abroad, having constant internet connection is always my priority. Aside from posting real-time updates on Facebook and Instagram, having reliable and fast internet connection abroad allows me to accomplish online tasks for my job. So getting a data plan by buying local sim is always part of my travel plans and budget. 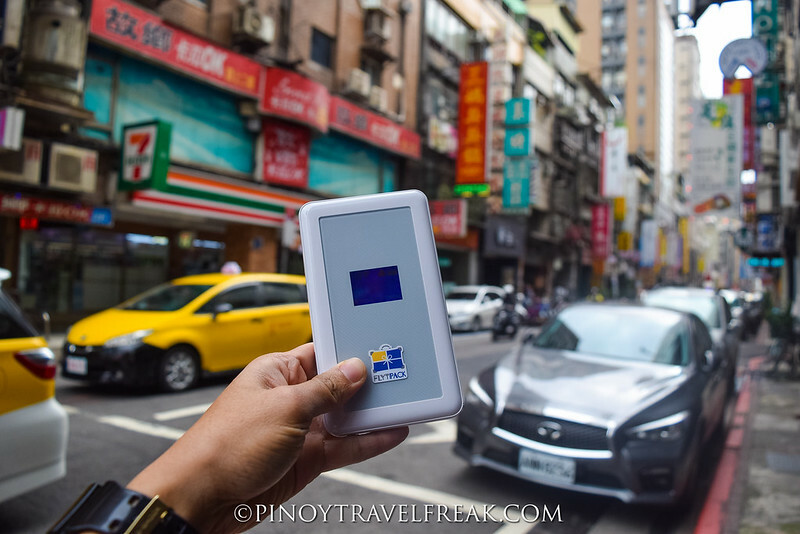 My recent trip with AirAsia Philippines for their inaugural flight from Manila to Taipei, Taiwan has allowed me to try and use Flytpack travel wifi for the first time. 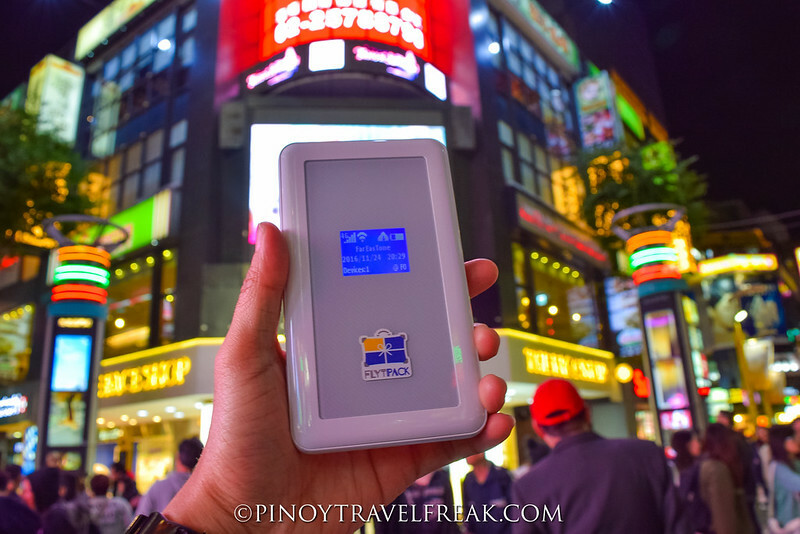 I've never heard such thing before so I was very excited when overseas wifi rental Flytpack came to the Philippines to let travelers rent a portable wifi device for international trip at very reasonable costs. The main reason to rent a Flytpack travel wifi is the reasonable rates. For as low as P180 a day, you can have unlimited data. Yes, you get unlimited internet which means you don't pay by data consumption but by daily rental rates. Prices vary in different countries, but for Taiwan, daily rental only costs P250. Depending on the router model provided to you, Flytpack can connect up to 5-8 wifi-enabled devices. That means if you're traveling in a group, you may want to split the cost of rental with your family and friends to save more. I was able to share my internet connection with five other people during this Taipei trip. Flytpack is currently available for the following Asian countries: Hong Kong, Malaysia, South Korea, Japan, Singapore, Malaysia, Thailand, and more. Other countries supported by Flytpack are US, Australia, Canada, and Russia. 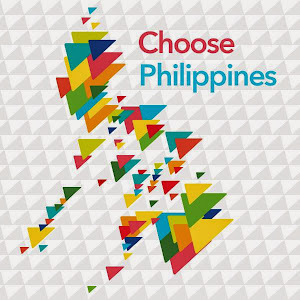 If you're traveling to multiple Asian countries, for example, you may want to avail the Asia Package which only costs P300/day for 2-3 countries. 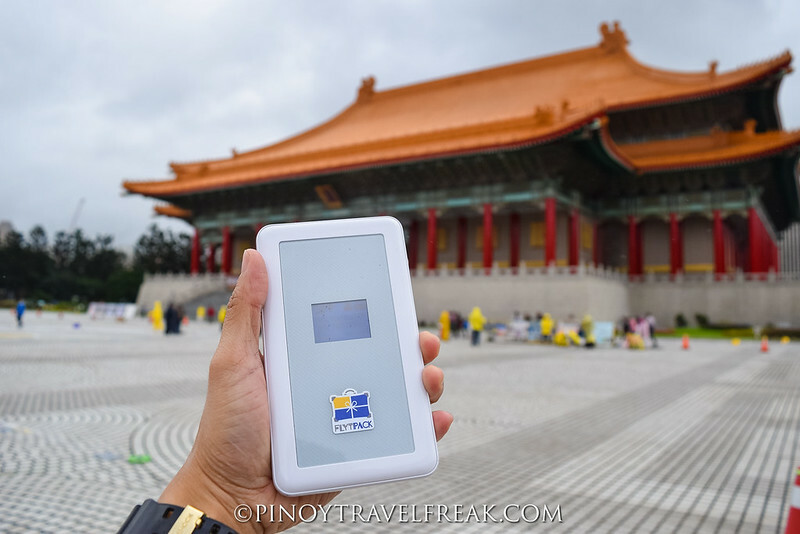 Since Flytpack is pre-configured and will only work in the country that you are visiting, I immediately turned on and tested the device upon arrival in Taiwan. On our way to the hotel, the fastest speed I got was around 39Mbps, which in Philippine standards, is crazy fast! Flytpack can connect to 4G/LTE so expect a blazing fast internet speed wherever 4G/LTE signal is available. 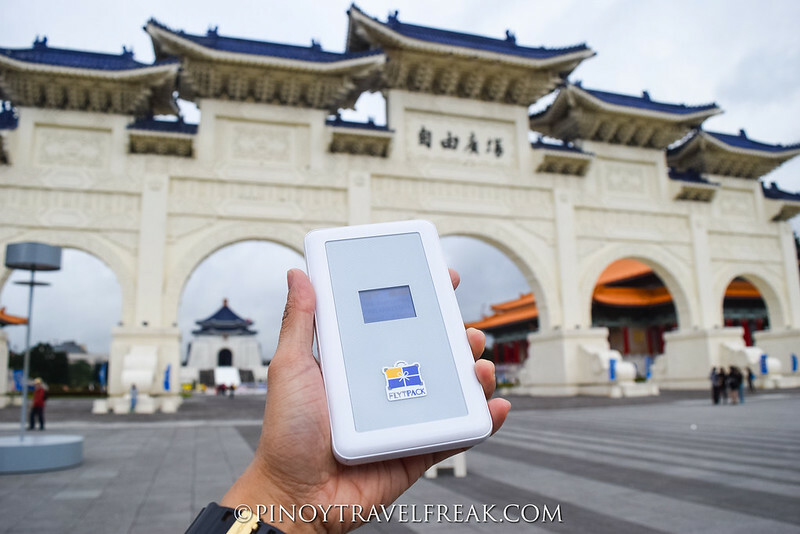 We stayed for five days in Taipei and based on my overall experience, Flytpack worked without a hitch in terms of internet connection. The speed varies on every location (depending on signal strength) but it's definitely more than enough to upload Facebook posts and Instagram stories and videos. Even under subways stations and moving trains, the internet connection never lost wherever we went. Given to the fact that 4-5 of my companions were also connected to my Flytpack router, the internet connection has been always reliable. I also use and rely on mobile travel apps such as Google Maps and subway for direction and guides so it's important for me to consistently stay connected online (and fast) when traveling abroad. Since Flytpack office is very accessible from my home, I decided to pick the device up myself. The friendly staff gave instructions on how to use it and even had the mobile phone that I would be using already connected to the router. So when I arrived in Taiwan what I did was just enabled the wifi on my mobile phone and turned on the device and right away, I'm connected online. The SSID (name of wifi) and password are indicated in the screen and on the back of the router. 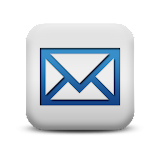 Flytpack is pre-configured which means there is no need for complex setup and installation like inserting a sim card or subscribing to a data plan. Once you receive the router, it's ready to use in the country you're traveling to. All you have to do is turn on the device when you arrive, connect to it (if you haven't done so for the first time), and you're good to go. The size of the Flytpack travel router is small and fits in your pocket giving you convenient and hassle-free experience. The device comes with a pouch, charging cable, universal adapter/charger and user manual. A friend I'm traveling with in Taiwan happens to have a Flytpack wifi too and one of the common things we observed is the router's long battery life. Mine comes with 5,000mAh battery capacity (their newer models come with 6,000mAh, I think). Despite being connected online all-day long and with five other devices constantly connected to my wifi, I've never experienced running out of battery at the end of the day. My other friend hasn't charged his Flytpack for two days and it still has remaining juice. If you're concerned about the battery life, you can bring a power bank with you so you can continuously enjoy unlimited internet. But based on my experience, I never had to charge it until I come back to the hotel at the end of the day. In fact, I learned that some models can be used as power bank. Wherever you are in the Philippines, you can rent a Flytpack wifi from the comfort of your home. Just visit their website at www.flytpack.com to make a reservation at least five days before your trip. Payment method includes bank transfer and credit card (VISA and Mastercard). You can select to pick up/return the router personally at their office in SM Aura Office Tower (Mon-Fri, 9am-6pm), or have it delivered/collected at your specified address for free (router will be delivered within three days before departure date and collected within three days after return date). There is a required deposit of P2,800 which will be refunded to you within 7-14 days after returning the device. My first experience with Flytpack travel wifi has been very good. It's affordable, portable, and internet can be shared with other people. Best of all, you get unlimited internet which is an important consideration for me in any international trips. 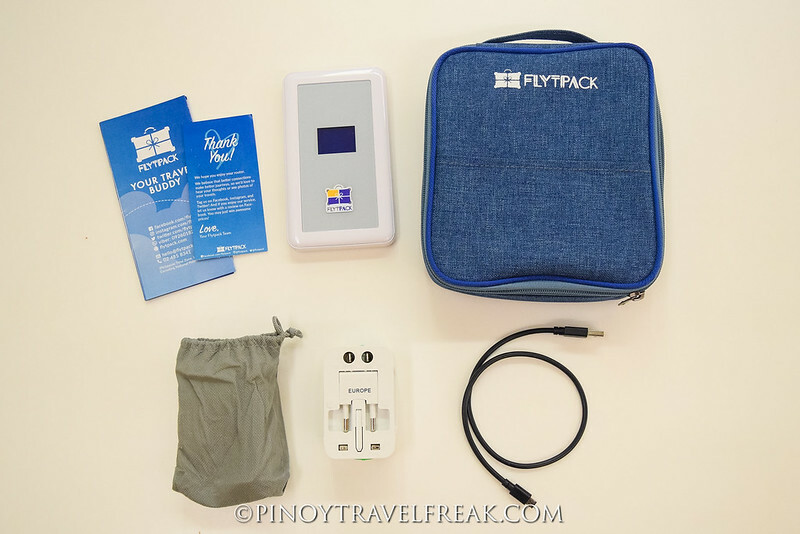 Flytpack router has been an added in my travel essentials list and I will definitely be using it again on my next travel abroad. Please visit www.flytpack.com to rent one and to learn more about Flytpack travel wifi.